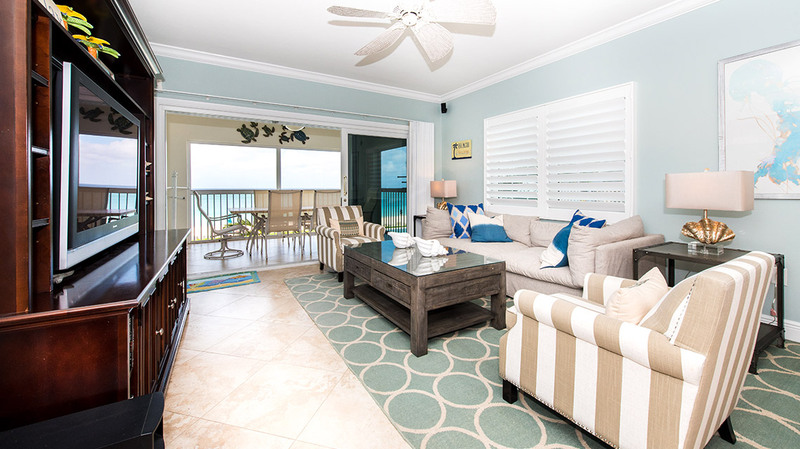 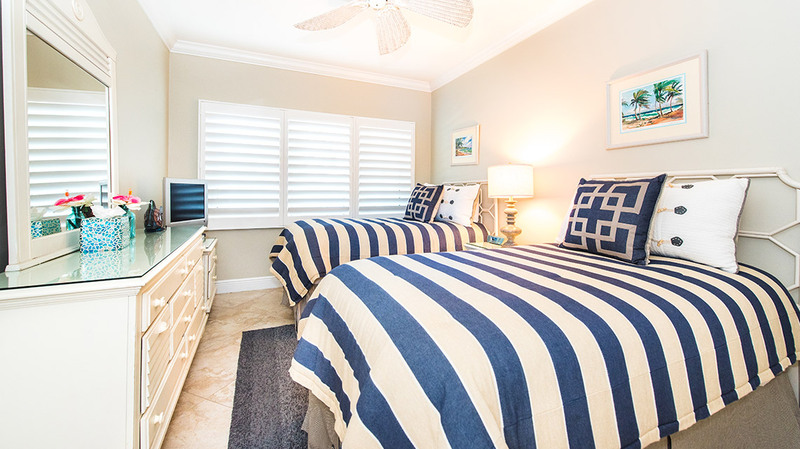 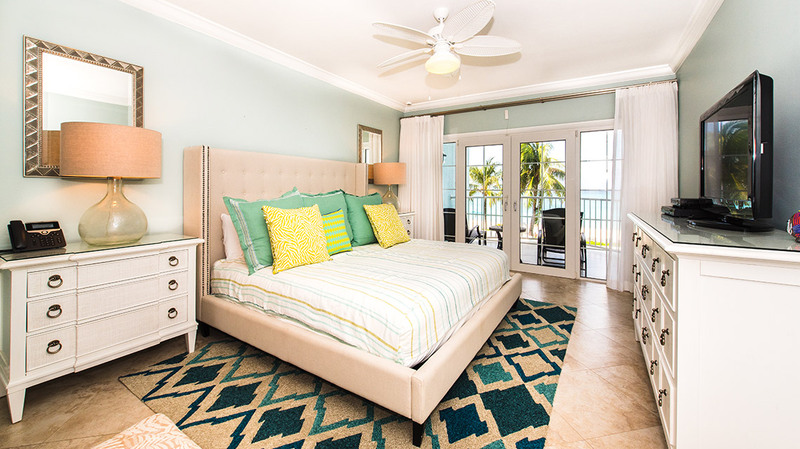 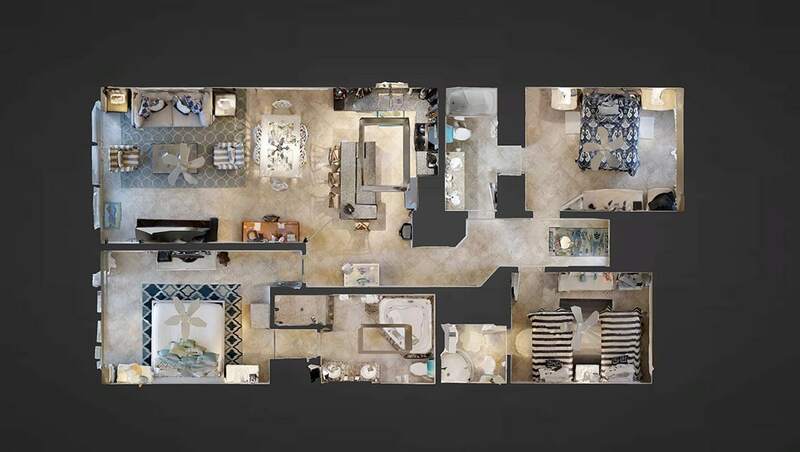 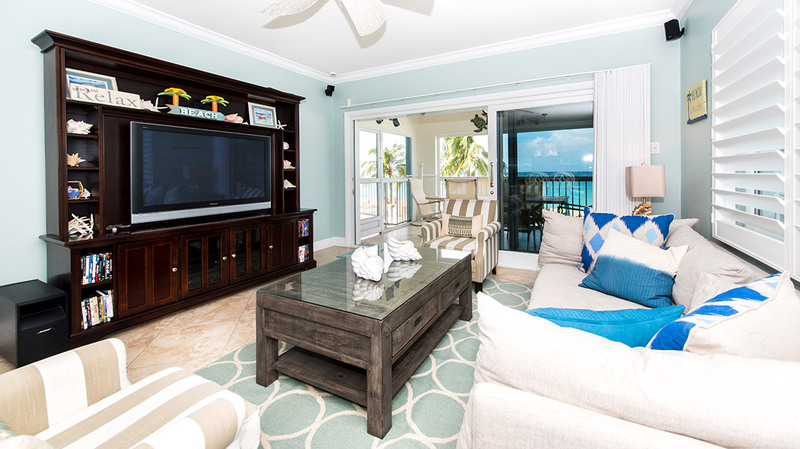 Celebrating the colors and coolness of the Caribbean this splendid 1,800 square foot, 3-bedroom, and 3-bathroom ocean view unit has it all, from floral patterns to wicker furniture. 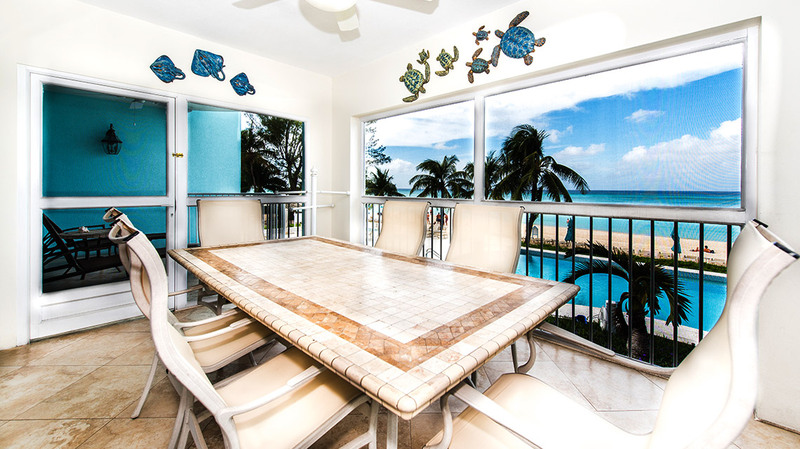 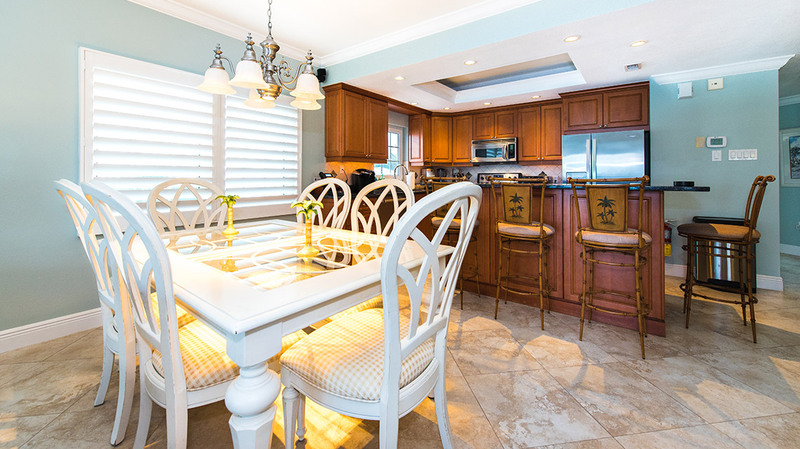 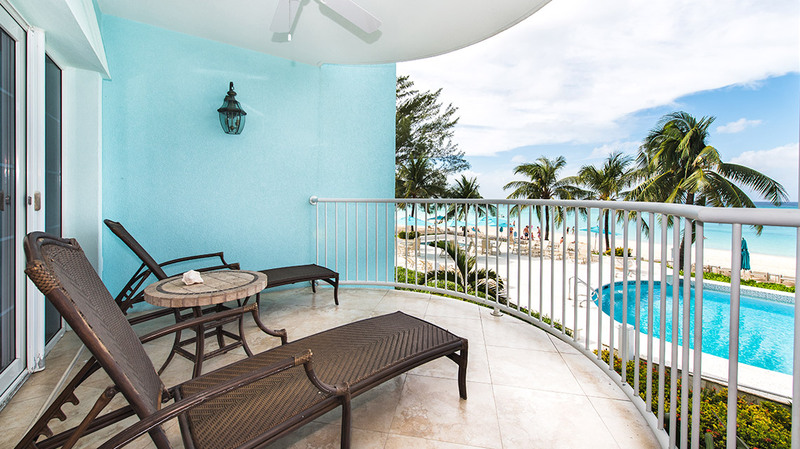 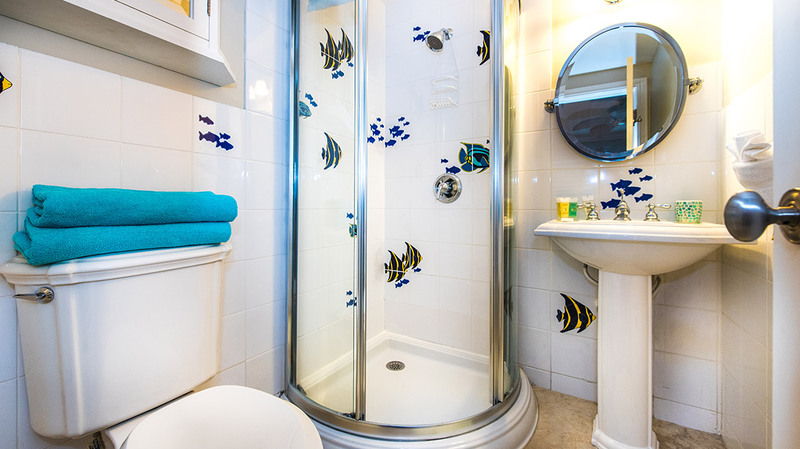 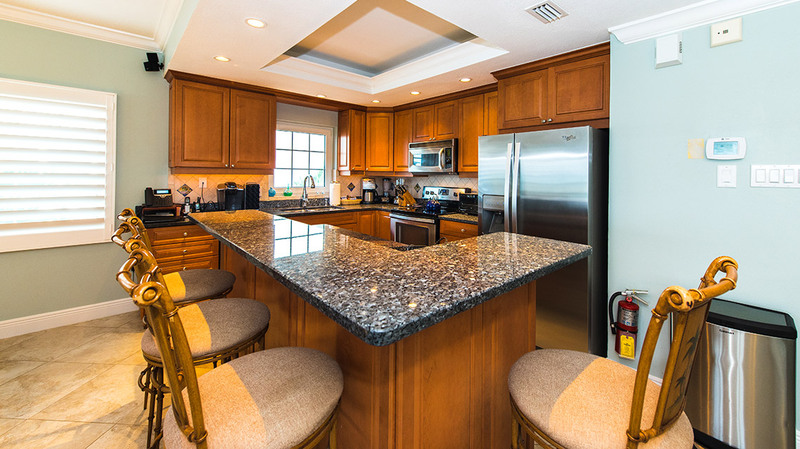 This is a Grand Cayman vacation rental that welcomes you as soon as you walk in the door. 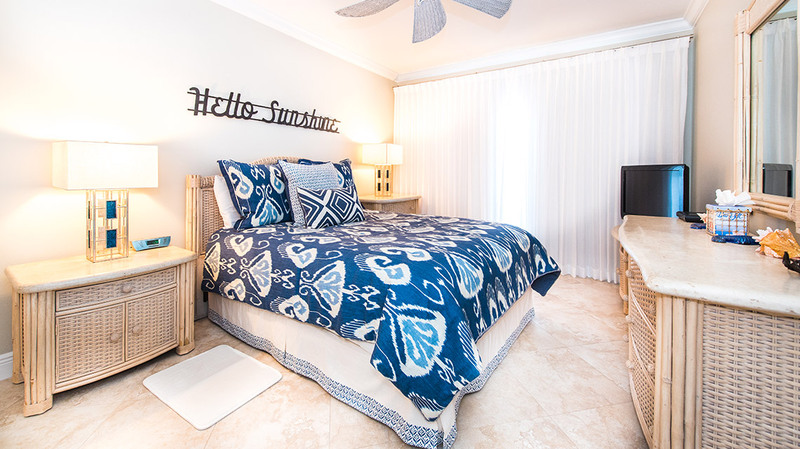 It features a master bedroom with king bed, a guest bedroom with a queen bed, and an additional guest bedroom with two twin beds. 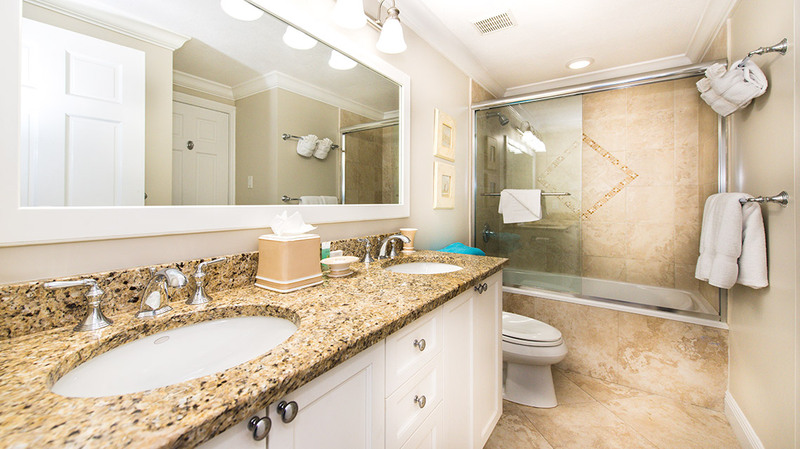 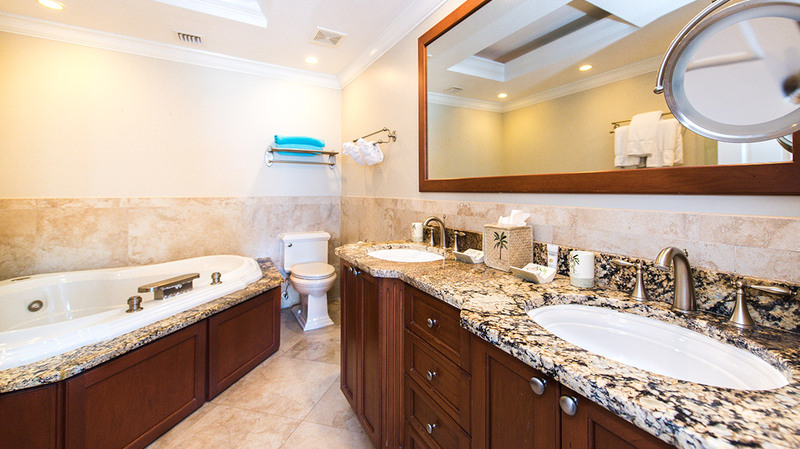 There’s also a majestic deep soaker Jacuzzi in one of the three luxurious bathroom just waiting to melt your traveling stress away.